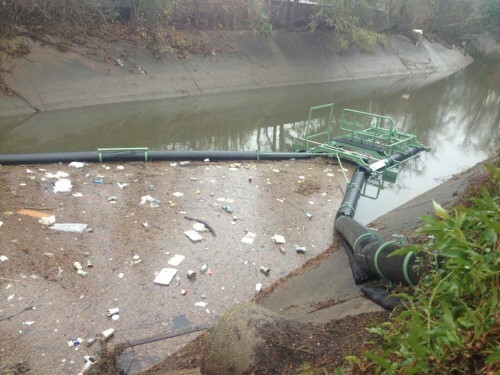 Lafayette, Louisiana took the lead in protecting Louisiana’s waterways when they became the first in the state to install a Bandalong Litter Trap on Coulee Mine at Rotary Point. 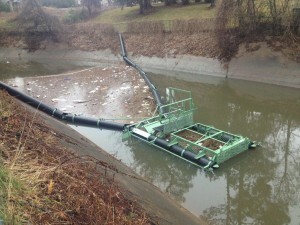 The Lafayette Consolidated Government partnered with Bayou Vermillion District to bring Louisiana’s first Bandalong Litter Trap to the state. The hope among officials is that this will be one of several installations deployed in the Lafayette area in coming years. The goal is to reduce the amount of trash that accumulates in local waterways, makes it way into the Vermillion River, and then also into Vermillion Bay, and the Gulf of Mexico. According to the Lafayette Consolidated Government’s Public Works Department, this was a joint effort with a singular goal: protect the quality of local waterways. The Coulee Mine canal flows right into the Vermillion River. Vermilion River flows just 35 miles south into Vermillion Bay, which empties into the Gulf. That significance is important because it’s estimated that 5.25 trillion pieces of trash are floating in the oceans. Put another way, according to National Geographic, fully 10 percent of all trash on the planet ends up in the sea. Imagine a swirling ball of plastic debris about the size of Texas, and you’ll get the point. Never ending trash collection is a growing cost for municipalities. Clogged canal banks and local waterways lead to maintenance and debris challenges at water treatment facilities, and the ecological impact is broad because it compromises the health of humans, wildlife and the livelihoods that depend on healthy oceans. The Bandalong system at Coulee Mine is a small trap, 5’ x 13’, with two collection booms. Storm Water Systems manufactures the traps at it’s facility in Cleveland, GA. Quality Sitework Materials (QSM) represents SWS in Louisiana. 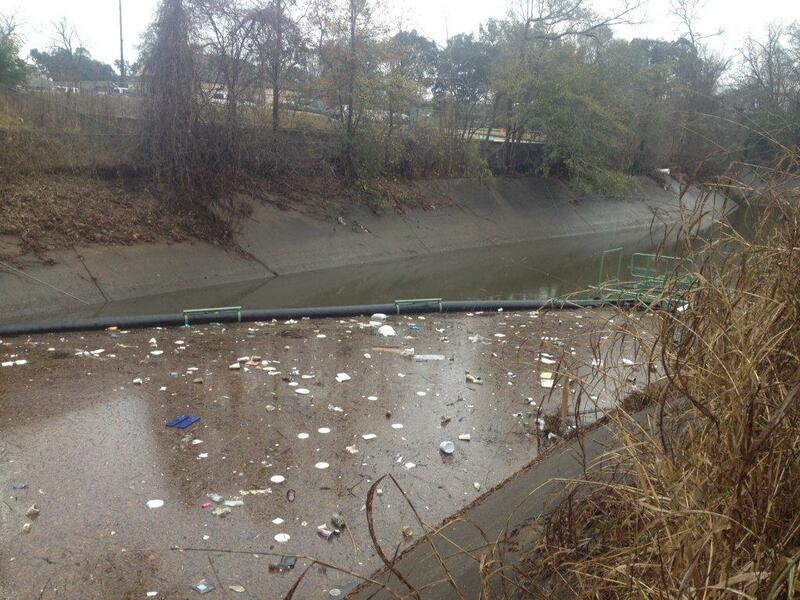 In Lafayette, as in other cities across the Country, the problem of litter from urban runoff has eluded public officials and stakeholders. Bandalong systems solve for this problem in a cost effective and innovative way. Lafayette is sending a strong message, and it’s one the rest of the state would be smart to adopt. Trash is a problem. Litter is a problem. Every difficult journey begins somewhere. Stopping the flow of trash into our waterways is a great place to start.